Matlock paid dearly for their sluggish start as Lancaster scored in the 4th minute and then held on as the Gladiators dominated the second half but were unable to find a breakthrough. It means a poor start to 2019 with two defeats and no goals scored. The Dolly Blues, on the cusp of the relegation places, pushed Matlock back from the first whistle, Ryan Winder getting the better of Lee Beevers to feed Robert Wilson whose shot was blocked at the expense of a corner. A second flag kick quickly followed as Ross Durrant tipped away a strike from Paul Jarvis and when City maintained their assault, Jordan Chapell in trying to clear, caught WILSON in the box who then calmly stroked home the spot kick to Durrant’s left. So yet again, the Gladiators had conceded the opening goal and their hopes of a rare clean sheet had again evaporated. Matlock struggled to put any worthwhile moves together early on. lacking composure in a midfield which in fairness would not have been boss Dave Frecklington’s first choice with Cleveland Taylor again out. Taylor’s ability to get in a telling challenge was badly missed, as was the ill skipper Adam Yates at the heart of the defence. Michael Hollingsworth was booked for a crunching challenge on Cole Lonsdale as frustration grew in the visiting ranks but then Matlock had a decent spell and after a decent build up, Craig Westcarr’s shot was pushed away by home custodian Jack Sims. Shortly afterwards Dwayne Wiley blazed wildly over the bar before Marcus Marshall cut in from the right but Sims kept out his low shot at the near post with his legs. 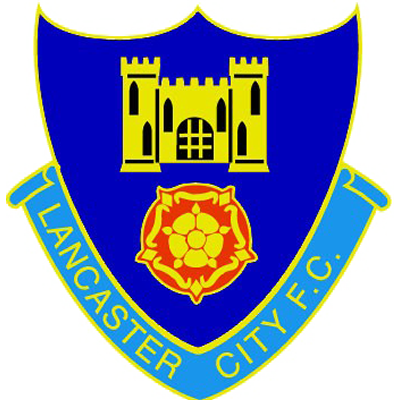 Lancaster responded when Tom Kilifin found himself in acres of space on the left and Durrant blocked his low shot before from a corner central defender Glenn Steel rose to plant a header narrowly wide. After a slow start to the second period which brought a booking for Beevers, Matlock dominated with the bulk of the play in City’s half. Wiley headed wide from a 57th minute corner before on the hour Bradley Beatson flicked on a Beevers long throw for Marshall to turn but screw his shot narrowly wide. Then two minutes later Westcarr tried to beat Sims at his near post from a tight angle but his shot nestled in the sidenetting. A Chapell shot hit a defender on the arm but play continued and it proved to be his last contribution as Jamie Jackson, the scourge of City in Matlock’s 4-0 opening day win against Lancaster, entered the fray. Westcarr turned to smack a difficult chance over the bar and an ambitious volley from Luke Hinsley was a couple of feet wide but it was a frustrating afternoon for the visitors who had to include assiatant boss Terry Fleming as part of a depleted four man substitutes bench. Kilifin and Winder were both off target with long range efforts in late City breakaways and with Steel dominant at centre back and captain Simon Wills showing tremendous energy and industry in midfield, the hosts held on for three precious points and leave Gladiators manager Dave Frecklington with much food for thought. The tweet suggests changes as Matlock have hit the buffers in the last two matches. In their successful run they fought their way back into matches from a losing position, but as Frecklington himself said that wouldn’t happen all of the time. They need to get themselves in front and grab the initiative early on. Both Tom Davie and Michael Williams came through reserve team action successfully on Saturday while Adam Yates will be available again and Shaun Harrad’s loan period at Grantham has expired. Team selection at Witton Albion next Saturday should be interesting.